I think i might be missing something. Bought and fitted a Paddy Hopkirk Throttle pedal. When i press the brake also hit the throttle. No i don't drive in work boots but runners. Fitted with the wide part to bottom.Writing right side up. Refitted up side down(writing up side down wide part to top) and it seems better. Question is are they meant for mokes.? I run one TOM and don't have a real problem maybe only ever caught it once or twice. I must have phat feet, my right foot use to catch the brake pedal in ordinary runners. 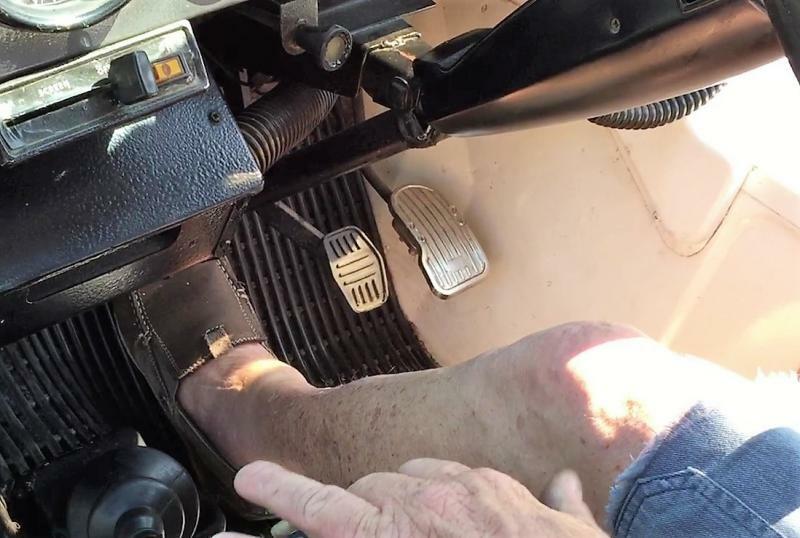 I moved the accelerator pedal across to the right and straitened the bend in the brake pedal a bit which moved it across to the left a bit.